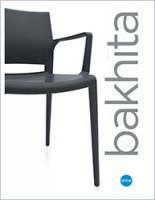 Weather resistant Bakhita tables work double duty, indoors and out, to create lively common areas, patios and cafeterias. 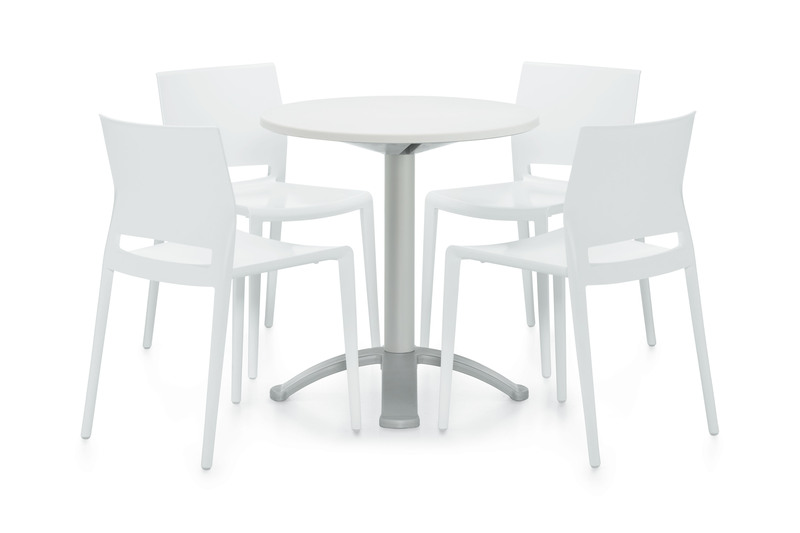 A stable four-legged base enables seating to tuck in effortlessly. 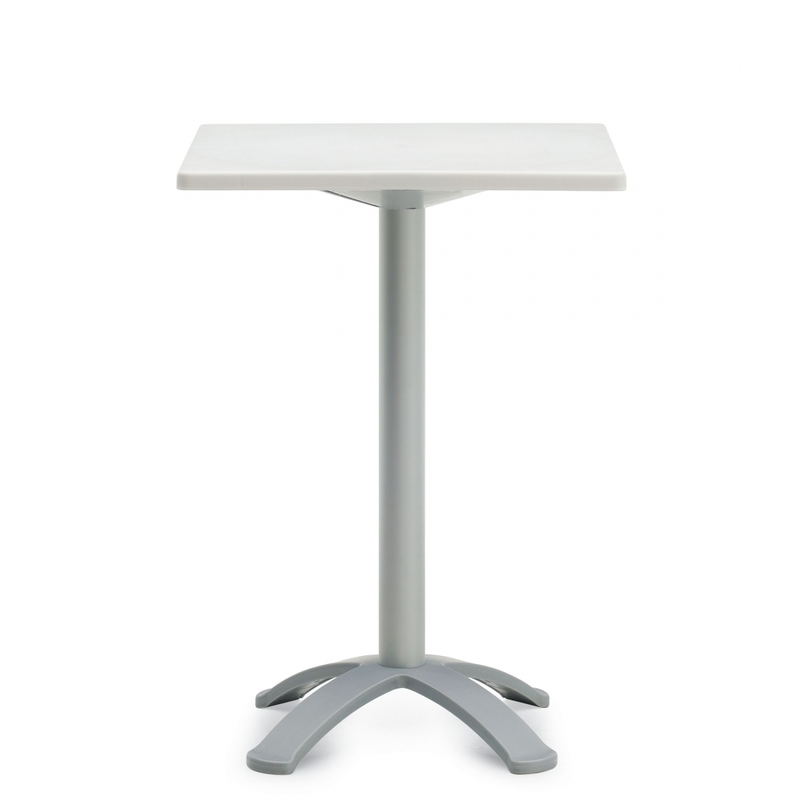 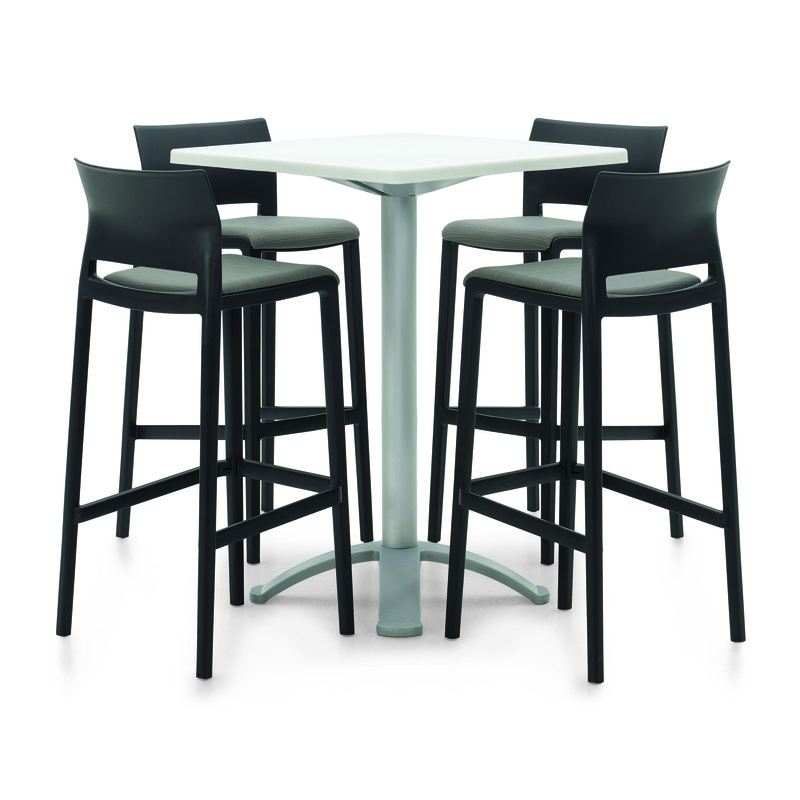 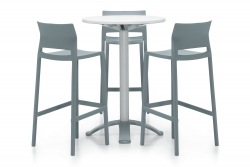 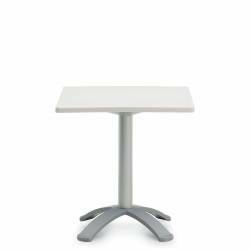 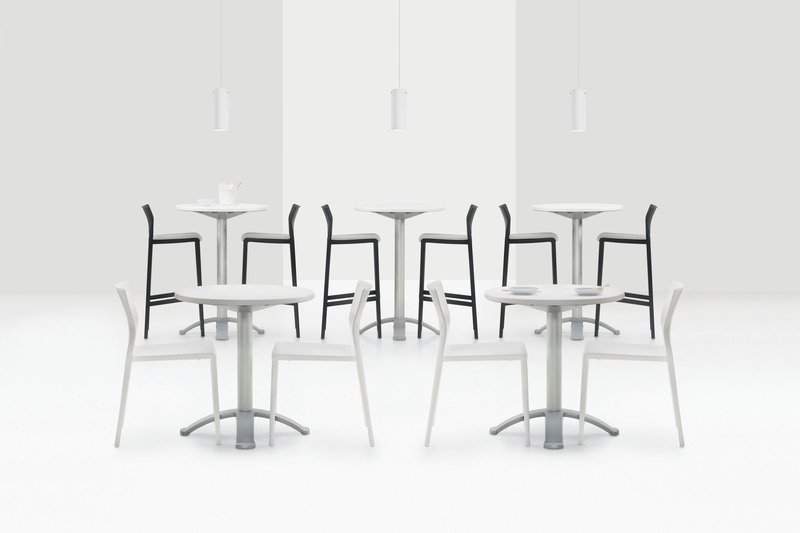 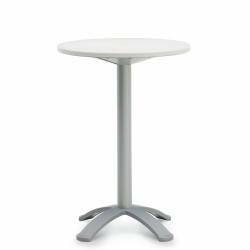 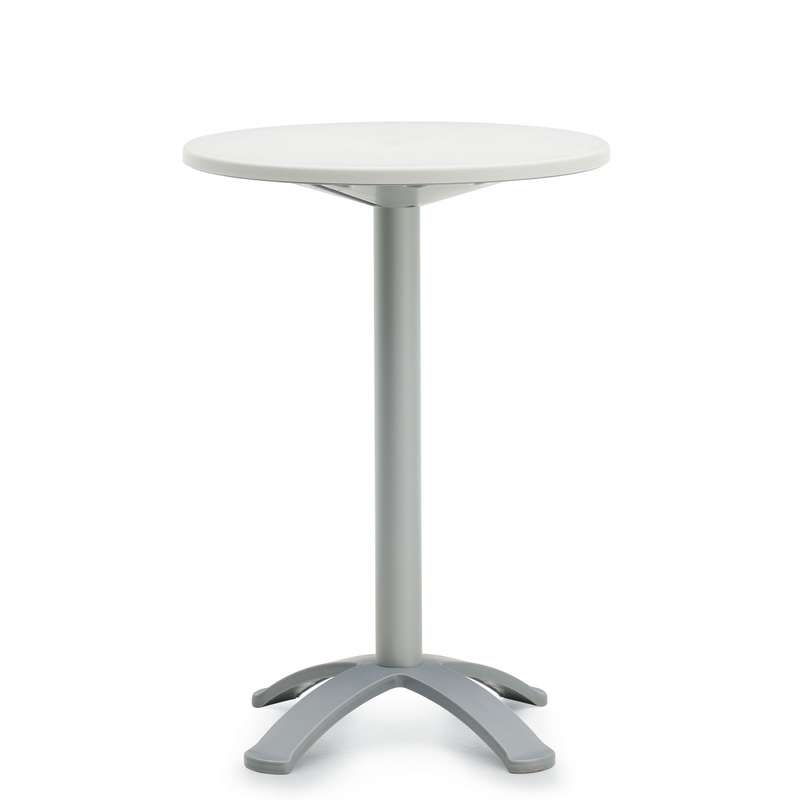 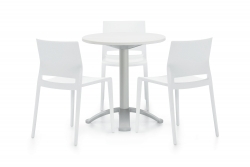 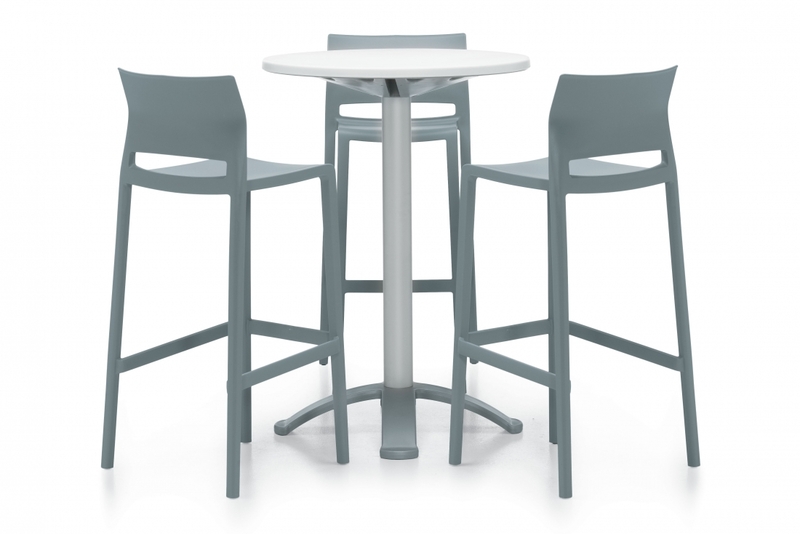 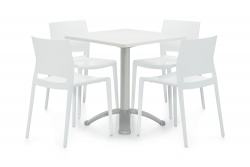 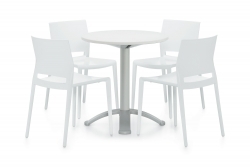 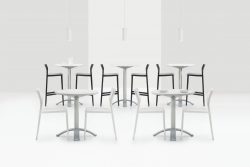 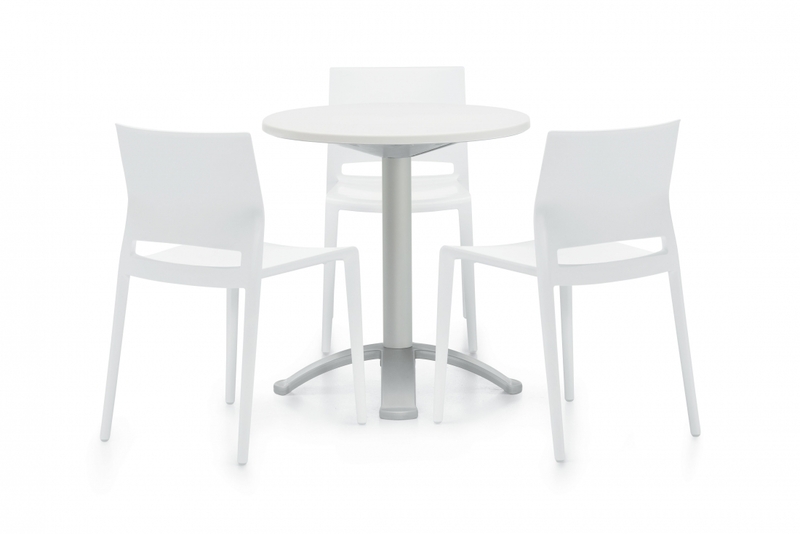 Standard and bar height tables are offered in 28” round and square tops, in Milk with Silver bases.